With the divorce rate as high as it is, it only makes sense that increasing numbers of children are being raised in part by stepparents. The emotional bonds that form between stepparents and their stepchildren are often deep and loving, every bit as strong as those that the parents have with their natural children, so it comes as no surprise that when drawing up a will, many people choose to include their stepchildren, leaving them money and/or other types of property. The laws regarding wills and finances are very clear, but to those of us who are unfamiliar with them, preparing a will may seem like a daunting task. There are many DIY will programs available now that most people can use right on their home computers, but it may be wise to have the completed document reviewed by a solicitor to be sure that it has been done properly and that it includes (and in some cases, excludes) everyone that it should. Those with an enormous amount of assets or complicated wishes are likely to seek legal counsel for help in preparing a will, but many people feel that since they do not have an especially impressive portfolio, they have no need for such assistance. Unfortunately, such thinking often leads to a portion (or the whole) of someone’s estate being distributed in a fashion that does not accurately reflect the wishes of the deceased. Those who die intestate (without a will) leave it to the law to decide how their assets will be divided, which is rarely the same as how people set up their wills. For a relatively small fee, solicitors can guide clients and prepare documents that are clear and complete. From a legal standpoint, stepchildren have no rights to their stepparents’ estate, unless they’ve been specifically mentioned in the will. Unlike natural and adopted children, who have automatic rights to inheritances unless specified otherwise, stepchildren need to be cited by name in order to be included in someone’s will. Of course, not everyone wishes to leave part of their assets to their stepchildren, but many do. It may also be important to note that while stepchildren will not automatically receive money or inheritances from their stepparents, some stepchildren may choose to contest a stepparent’s will that they feel may have wrongfully failed to mention them. While these cases do not always result in the stepchild being granted any portion of the estate, the mere act of contesting a will can mean that the rest of the beneficiaries must wait for their funds to be dispersed until the matter has been reviewed and a decision has been made. Most people understand that if they want to be sure that someone is granted a portion of their estate, they can simply mention them by name in their will. Another thing to consider is the possibility that there may be people that would normally be considered beneficiaries, but who, for whatever reason, the estate owner wishes to exclude from any inheritances. This too, should also be mentioned specifically in a will. This is especially important if the people are natural or adopted children, who would otherwise be automatically included, but it can apply to others, as well. As in the example above, stepchildren (or others) may feel that the estate owner wanted them to be included and contest the will, slowing the process and in some cases, changing the outcome how the money and other property is divided. 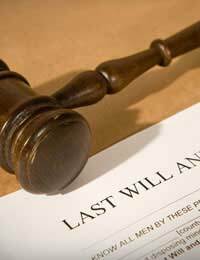 Ideally, family members should be made aware of the contents of a will in advance of someone’s death. Having frank discussions about finances and estate planning can help families to be clear about their wishes and should help to avoid any bickering over who gets what. Money and property (with monetary or merely sentimental value) can cause even the most level-headed people to behave poorly when they feel that they’ve been slighted, and sometimes, hurt feelings occur simply because the estate owner didn’t realise that in order to provide for all of their loved ones, they needed to document their wishes. Dealing with the will of late aunt (late fathers sister). In it she leaves all her estate to her late husbands children. They did not have any children, he was 65 & she 48 at time of marriage. My mum said my dad never mentioned that his sister had step children from her husbands previous marriage (his 1st wife passed away in 1969). Can find no details of her late husbands children in aunts papers. The will refers to "his children and if more than one in equal parts". Am I correct to assume the his children are step children of my late aunt and as she never named them in the will, then the will should fail and the rules of NCPR 1987 will be followed. Also why would Probate Office tell me that the persons entitled to probate are the children of her late husband, or are they just clarifying that the children are step children? @ Concerned - I can completely understand where you are coming from here, especially with regards to inheritance from your parents. I'd say as a compromise 50/50 down the middle and 50% to your son and 50% divided between his three children. I suppose if you inherit, the money will automatically go into the family pot unless you keep it in your name, which I would personally, so that you can choose what to do with it. I think in this day and age, it's the norm. Me and my husband have both got children from previous relationships.I have a 1 and he has 3.Talk of our wills is causing major, major arguments as his 3 are grown up with children of their own and were grown up when we met, whereas he has brought my son up,as his own although has not adopted him for reason beyond our control.If I die I want my share of the house leaving to my child - obviously my husband can live there until he dies.... he however wants the house splitting 4 ways and I don't agree with this.He is also angry that I have said any inheritance I happen to have left from my parents is to go to my son and NOT my step children. I really could use some advice on this matter as I fear it could be the cause of a divorce.Many thanks ???? @Colin - I didn't mean to imply you were being harsh. Trust me, I can quite understand how difficult is can be and how those seething resentments can take hold. I just chanced across this site after some research I was doing of my own and was relating to you what I had found out. You might need to seek professional legal advice to try to find a way around this. I'm much on the same tack but I want my biological children to benefit from my personal inheritance and not my husband (who is already catered for) and stepson. Thank you for your quick reply, Liz. I didn't know that - I will investigate further. I know what you mean by "when you're dead you're dead" and I don't really know why it bothers me - I hope I don't come across as too unpleasant a character! It is difficult to tolerate them - I just take one day at a time and try to concentrate on my wife and how much I love her. I know she loves me too but unfortunately she puts her children first and her marriage second - which I find difficult to accept. @Colin You can put the money in trust and specify in your will that you want only your wife to benefit from it in her lifetime only and make arrangements for the remainder of your part of the estate to go to someone else when she dies. But surely once you're dead, you're dead, does it matter? It sounds like you are holding a lot of resentment against these kids - it must be difficult for you to tolerate them on a day-to-day basis! My wife and I married five years ago. She had been married before and has two teenage children - a girl aged 18 and a boy aged 16. I have a very poor relationship with the girl and although my stepson and I have a better relationship, I feel very jealous of his 'clingyness' with my wife - which, I have to say, she reciprocates. The point is, I spend alot of time (probably too much) imagining the scenario when I die (I imagine that I will probably die first as I'm 8 years older than my wife, and the man tends to go first!) Whilst I want my wife to inherit all my estate (however much that may be!) I feel very strongly that when she passes away (I hate even thinking about this) I don't then want it inherited by my step-children. Obviously if she dies first, the problem won't arise. Is there any way around this problem. I've no idea how much of my wife's money will be trackable back to me (hopefully she'll have blown it on a round-the-world cruise!) but I'd rather it went to a cats' home than my step-children! Please help.